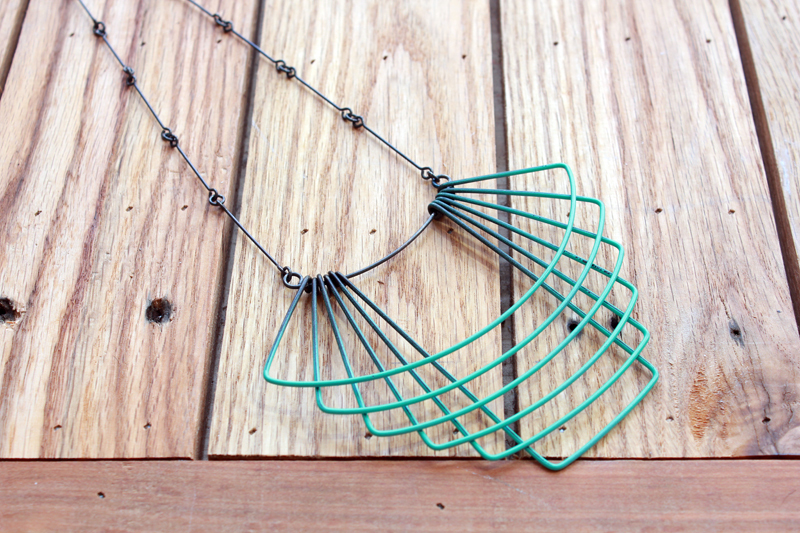 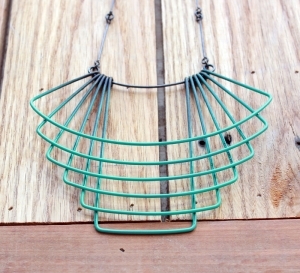 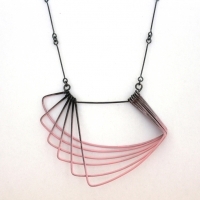 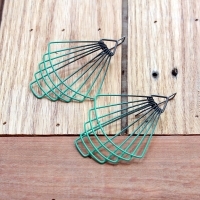 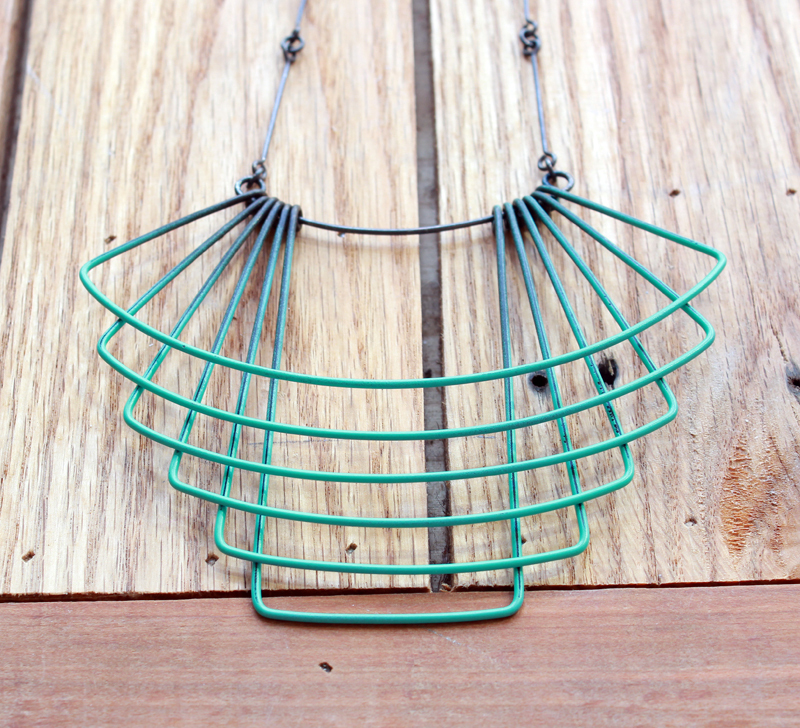 Spray painted steel hung on a 16″ handmade oxidized sterling silver chain. 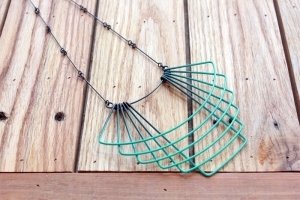 Pendant is 4 x 4″. 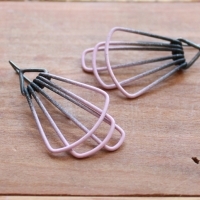 Jera Lodge Jewelry "Deco Painted Necklace in Dusty Rose"
Jera Lodge Jewelry "Deco Painted Tier Earrings in Dusty Rose"
Jera Lodge Jewelry "Deco Fan Earrings in Aqua"